The book was the prelude of the second law of thermodynamics. Here is a brief Wiki link to the book. 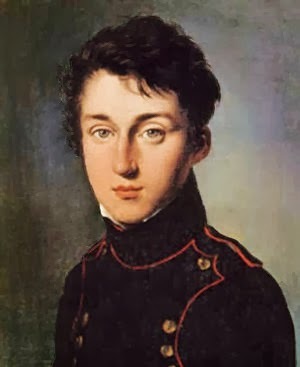 Here is the wiki link to Carnot a brilliant man who died young and of Cholera. 190 years later I am still trying to explain to the US EPA and a couple of Tesla Model S owners that the EPA’s figure for equivalent MPGs of the Model S are thermodynamic lies. The Environmental Defense Fund had a town-hall conference call with Gina McCarthy the Administrator of the EPA as a guest. I listened to the conference call and I tried to pose a question but the question was never asked. Here is the question I posed. I also sent the question as an email to the office of investigation of the US EPA. We will see if I ever hear back from them. I did hear back from the EDF who claim they are not in cahoots with the EPA to lie to us about MPGe of EVs. Last night I called in a question that was never asked and I was not placed on air. This question is a critical question for the EPA to answer the American people. The EPA determines the MPG of vehicles. The EPA has determined the MPG equivalent of electric vehicles and plug in hybrids. In doing so the EPA uses a figure based on the kilowatt hour chemical energy content of gasoline and then derives the "equivalent" MPGs for example a Tesla Model S. In the case of the Model S the EPA has rated the vehicle at 89 MPGe. I am an award winning chemical engineer and my graduate studies were in fundamental thermodynamics. The 89 MPGe imply the generation of electricity to the grid was at 100% efficiency and there are no losses in transmission, distribution, low voltage transformation and the AC to DC rectification of the electricity when charging the batteries in the subject Model S. We all know that power is not generated , transmitted, distributed, voltage transformed, and rectified with 100% efficiency and the EPA MPGe figures are thermodynamically false. 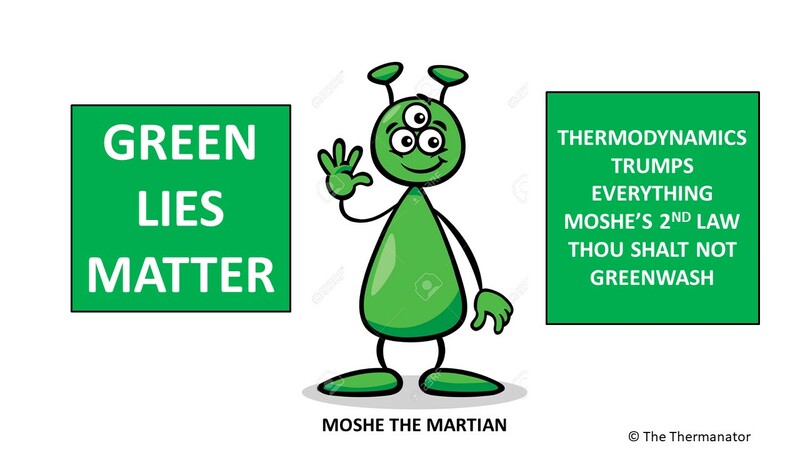 A better method to measure the "greenness" of an EV such as the model S would be to list the grams of CO2 per mile the car emits based on the generation, transmission, distribution, transformation, and rectification of the average electricity in the US grid. This can then be compared to the grams per mile a similar sized vehicle (The Audi A8 when comparing to the Model S) emits combusting gasoline. Let us assume the A8 gets 25 MPG and uses gasoline. the well to wheels CO2 of the A8 is approximately 454 grams CO2 per mile. The model S needs 400 watt hours of DC energy per mile. This implies approximately 500 watt hours of energy at the high voltage AC power generation station. The grid average emissions is approximately 0.65 pounds of CO2 to generate 500 watt hours of electricity at high voltage AC. This equals 295 grams of CO2 per mile for the Model S simply for the energy to charge the battery. Now we all know the Model S has a huge battery pack that was fabricated in Japan by Panasonic. Post Fukashima the Japanese grid emits 1.6 pounds of CO2 per kwh of electricity generated. The battery pack needs 472 kwh of primary energy to yield 1 kwh of storage. Let us assume the battery can be cycled 1,000 times before it no longer is good for the car. This means in Japan 0.189 kwh of grid power is needed for each mile the Model S will travel in the USA over the 1,000 charge discharge cycles. This means post Fukashima the CO2 emissions in Japan are an additional 137 grams of CO2 per mile travelled in the US. The total CO2 per mile emitted into the global atmosphere by the Model S is 432 grams and almost identical to the Audi A8. I doubt the EPA will ever address their fake out. I just wish Carnot could witness the decline of science in the USA. This decline has come about for purely political and campaign contribution reasons and it disgusts me as a student of Carnot. The EPA thinks an Electric Vehicle is a Car No and not subject to the second law of thermo that Carnot comprehended 130 years before Gina McCarthy was born. Ms. McCarthy you earned a Masters of Science at Tufts, but did you study Thermodynamics 101??? I think that Ms. McCarthy excels in the Motive Power derived from Political Motives and simply forgets about heat, work, and entropy in setting policy to please the Environmental Defense Fund and the others who still believe a Tesla Model S gets 89 miles per gallon. I love your passion about honesty. When you say "well to wheels" does that take into account the energy used in refining the gas for the Audi? If you used oil to generate electricity, you get the real mpg of EVs. 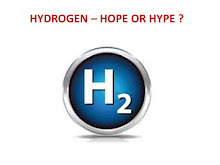 A gallon of oil operating a steam turbine may generate 11 kwhr delivered to the EV battery. At 3 miles per kwhr, the car get 33 mpg. These cars are compacts or sub-compacts that weigh a lot due to the heavy battery. The gasoline powered subcompacts would get 40 mpg.